For more information on any of the following books, click on the book image or title. 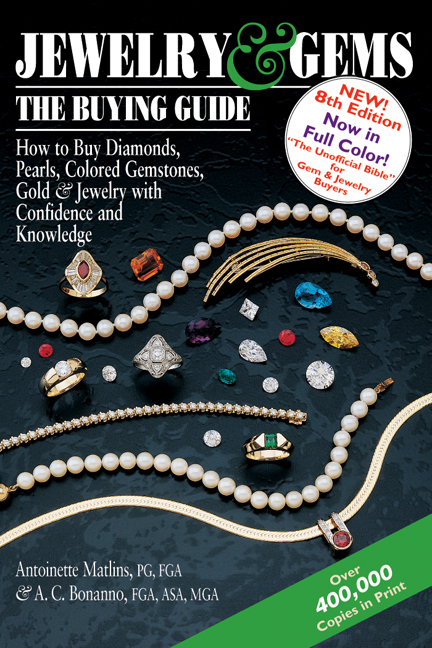 With more varieties than ever before to choose from, including altogether new gems, revolutionary new cuts, and new ways to buy gems—such as Internet auctions and TV shopping—there has never been a more exciting time to buy or collect colored gemstones. But there are also new high-tech treatments and sophisticated frauds to look out for. Buyers need a source of expert guidance, which this unofficial Bible provides in detail. Whether you are buying a diamond for an engagement ring, anniversary, to commemorate a special moment, or for personal pleasure, today it is more important than ever to understand what you are buying. There are new shapes and cuts, fancy colors, high-tech treatments, and sophisticated frauds. There are new ways to buy—such as Internet auctions and TV shopping. Buyers need this source of expert guidance. The book couples in love have been waiting for—revised and updated! Engagement & Wedding Rings takes the fear and anxiety out of buying an engagement or wedding ring, restoring the romance and the magic of this once-in-a-lifetime experience. Inside Engagement & Wedding Rings, you’ll find everything you need to know to select, buy, enjoy and truly experience the wonder and excitement that should be part of finding—or creating—that “perfect” ring. Enjoy learning the tools of the gem trade from two experts. Contains complete instructions and charts for the instruments we sell at GemStone Press. 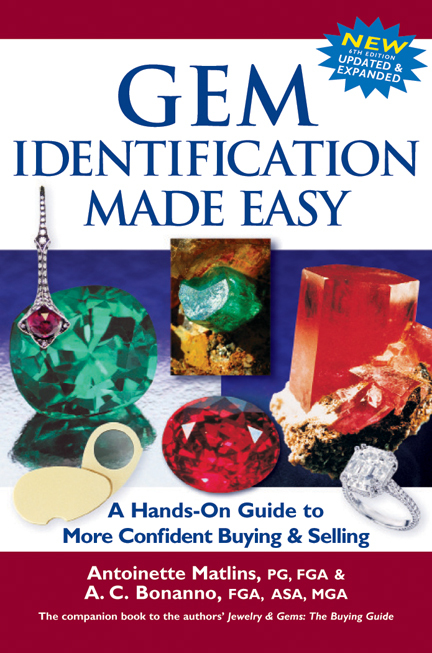 Gem Identification Made Easy is the first and only book that explains in non-technical terms how to identify diamonds and colored gems and to separate them from imitations and “look-alikes.” The book’s approach is direct and practical, and its style easy to understand. 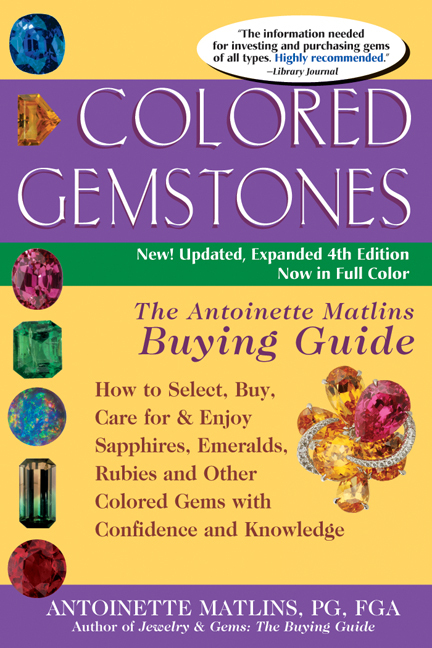 In fact, with this highly accessible guide, anyone can begin to master gem identification. Purchasing gems and jewelry can be a magical experience, filled with excitement and anticipation. But lack of information, error, or misrepresentation can make the thrill of buying a gem or piece of jewelry confusing, intimidating, overwhelming, and costly. 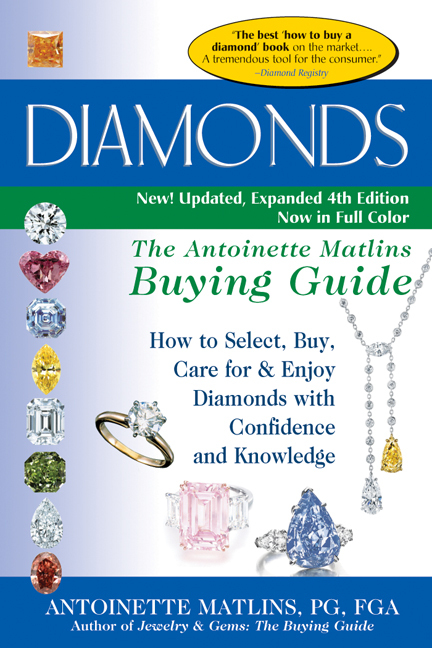 To help you avoid the pitfalls and keep the magic, two internationally respected experts on buying gems and jewelry put their inside knowledge to work for you in this easy-to-read, easy-to-use guide. 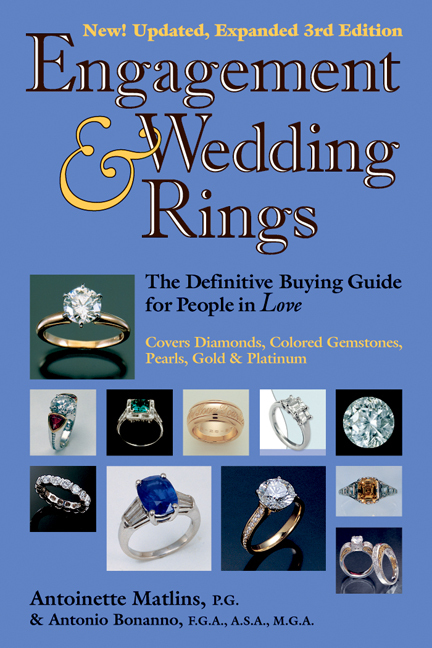 It is filled with practical advice and is designed to make it easy for you to have all the information you need to buy gems and jewelry with confidence. Newly revised and updated! 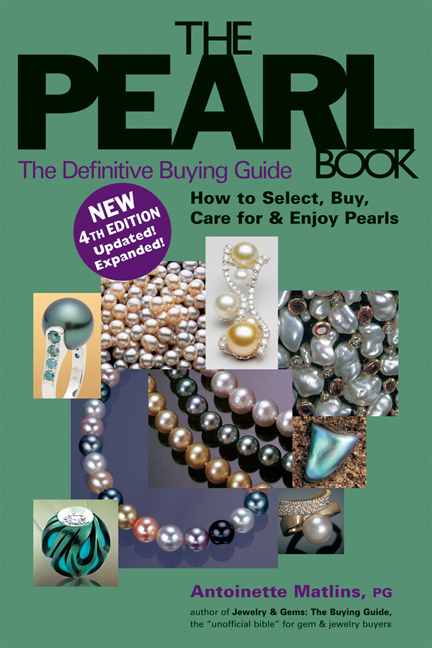 Everything you need to buy beautiful pearls with confidence. With todays finest cultured pearls rivaling diamond, ruby, emerald and sapphire in terms of popularity, rarity and price, more and more people are searching for a reliable source of information to guide them in the fascinating and complex world of pearls—natural, cultured and imitation.